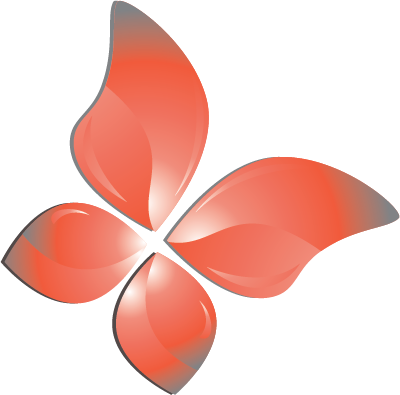 The long-anticipated event is approaching day by day. Having already taken care of the hardest task of choosing the dress with which to impress your beloved and your guests now comes another potentially difficult task – to choose the shoes. 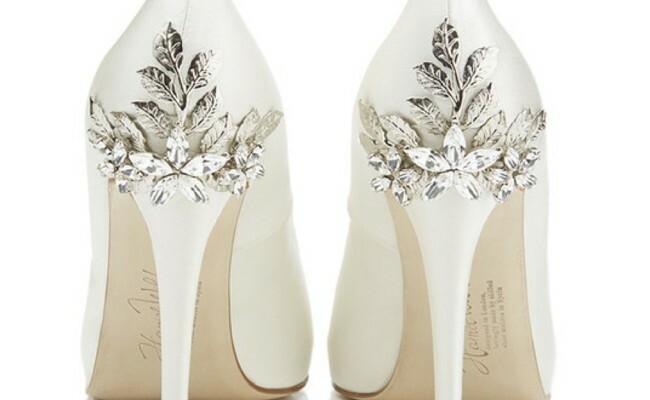 Bridal shoes are a once in a lifetime purchase, so they should be selected very carefully to complete your appearance. Decide on a reasonable budget for them, not too low and not too high because, as we said, you will probably wear them only once in your life. First of all wedding shoes aren’t for sale in any shoe store. 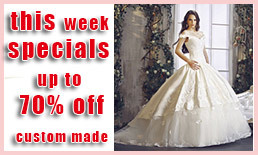 As usually their price is higher than other shoes, they are either made to order or purchased in specialized wedding stores. There you can choose from the variety in their catalogues or to try them directly. With more luck you can find the right pair in a regular shoe store. Of course white is classic but some brides prefer to wear shoes in other than white or cream color in order to combine them with some of the accessories or ornaments on the dress. If you decide to color coordinate, make sure the color accent of the jewellery matches with the shoes. What Material to Choose? This mostly depends on the season. 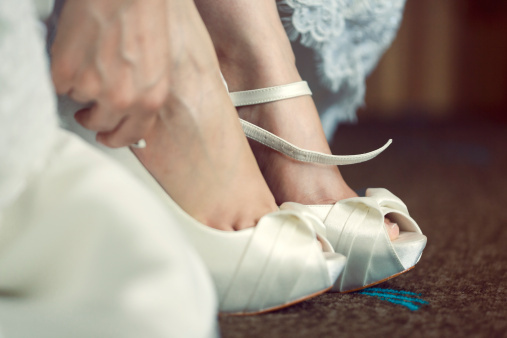 If your wedding is in the autumn or winter and the shoes are closed, better to choose leather as artificial materials won’t allow the feet to breathe. 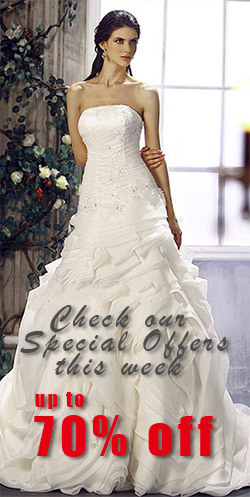 The warmer seasons will give you more freedom and you can find more feminine designs with lace and satin. Don’t forget that you will be on your feet for many hours standing, walking and dancing in the shoes you have chosen, so don’t take the first thin heels that grab your attention. The shoe must be comfortable and hold your ankle, so you will feel no pain in the legs. Once you have the shoes that met all of the conditions, it is time to stretch them. Don’t let the wedding day to be the first time you wear them because you might be unpleasantly surprised. Allow the material they are made from to relax, walk with them at home and if there is a stair case, walk up and down the stairs a number of times to make sure your shoes are properly “broken in” in advance. This preparation should not be overlooked as it will go a long way in making sure your wedding day will be pain free and you can enjoy the whole day and dance late into the night.